When you’re stuck for a conversation starter you can always talk about the weather! A storm of note from the Comox District Free Press May 28, 1936 edition. Tickets: Free event; suitable for all ages. 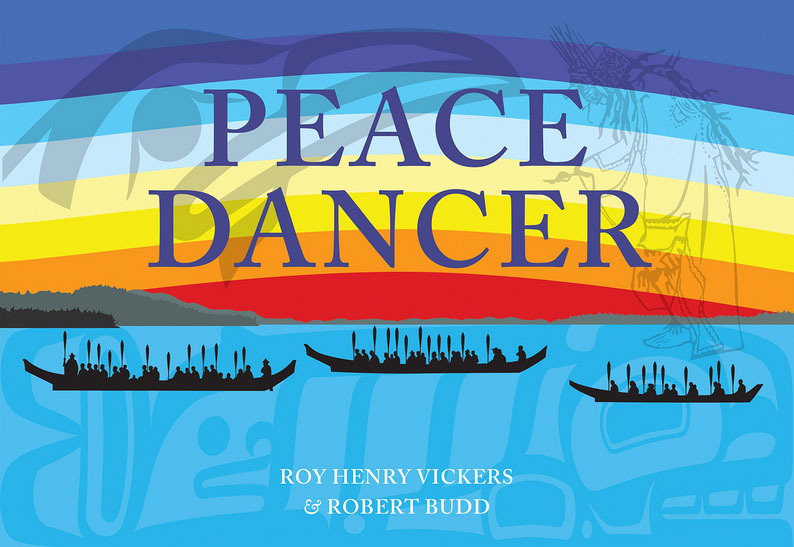 Join us to celebrate the launch of Peace Dancer: the fourth and final book in the Northwest Coast Legends series, with a reading and slideshow from the award-winning artist and author duo of Roy Henry Vickers and Robert “Lucky” Budd. Here now is an image and quote from the museum’s award-nominated book Watershed Moments – A Pictorial History of Courtenay and District. 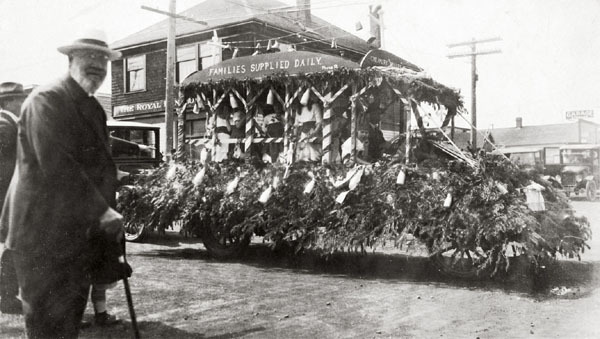 Photo caption: The lavish Comox Co-operative Creamery float passes by in the 1923 Courtenay May Day parade, while dairy producer Alex Urquhart watches from the sidelines. Page 90. “In 1901, a group of Comox Valley dairy farmers, who lacked the equipment they needed for processing, set up the Comox Co-operative Creamery Association to provide a central processing co-op for their milk. “The Creamery,” as folks came to know it, became one of the most successful enterprises in the Comox Valley and met farmers’ needs for processing milk into premium butter, cheese and, eventually, ice cream, for the next sixty-seven years.” Page 86. Lucky Cumberland kids got a chance of a lifetime to visit the H.M.C.S. Aurora as reported in this April 30, 1921 edition of the Cumberland Islander. The Aurora served the Royal Navy during World War I before she was offered to the Canadian government in March of 1920. A Wikipedia entry for the warship notes that “The Royal Canadian Navy commissioned her on 1 November 1920. She sailed shortly afterward from the United Kingdom for Halifax, Nova Scotia, arriving on 21 December with two ex-Royal Navy destroyers that had also been transferred. After a minimal time in port at HMC Dockyard, the three ships set out for a training cruise via the Caribbean to Esquimalt, British Columbia. The cruise masked the secret mission of carrying secret documents from the Admiralty to British consulates throughout Central and North America…”. Stop in to the Fanny Bay Hall on April 27 to enjoy the popular Fat Oyster Reading Series and listen to authors Christine Dickinson, Deborah Griffiths and Catherine Siba read from the museum’s Watershed Moments – A Pictorial History of Courtenay and District published in the fall with Harbour Publishing. The museum has just received news from the British Columbia Historical Federation that Watershed Moments – A Pictorial History of Courtenay and District is one of seven books to be short-listed for the BC Lieutenant Governor’s Medal for Historical Writing. Winners will be announced at the British Columbia Historical Federation Conference Book Awards Reception on Saturday, May 28, 2016 at the Revelstoke Mountain Resort. To celebrate, we’re adding another feature to the e-news by presenting images and quotes from the book on a monthly basis. We hope you enjoy it. 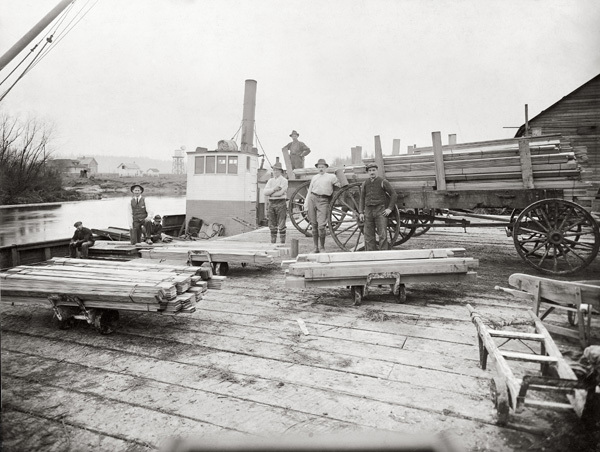 Photo caption: Central Builders’ Wharf, ca. 1910-1920. Mark Zuehlke is an award-winning author generally considered to be Canada’s foremost popular military historian. 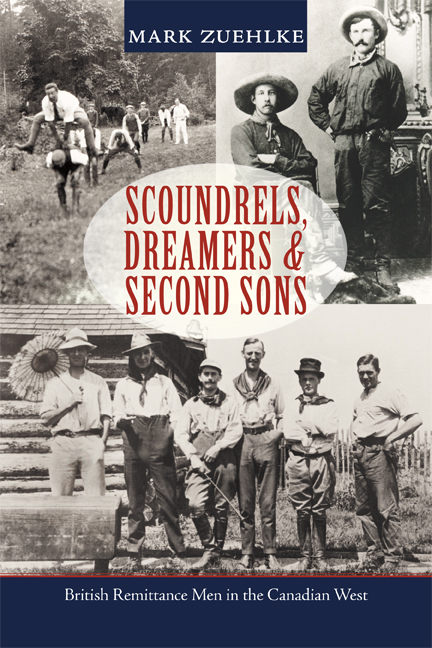 In this presentation, Zuehlke returns to the topic of Western Canada’s remittance men with the re-release of his 2001 book Scoundrels, Dreamers & Second Sons. The Comox Valley Naturalist Society (CVN) will host this year’s BC Nature 2016 AGM and CVN 50th anniversary at the Filberg Centre from May 12th to the 15th. The CVN will host an array of presentations and lectures, outings, field trips and social events for the expected 250 attendees.